Satellite broadcast audio...never be without music! 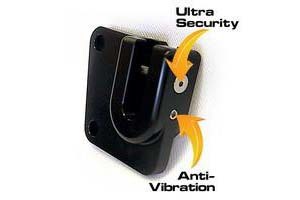 LD-EDS-SAT:This mount is the most secure and versatile way to mount many electronic devices (such as GPS or Satellite radio). It can be connected to both the "Diamond" shape and the 4-hole "AMPS" pattern on the back of your device. The Ultra-Swivel gives you unlimited positioning ability and is so sleek and slim, you'll hardly know it's there. 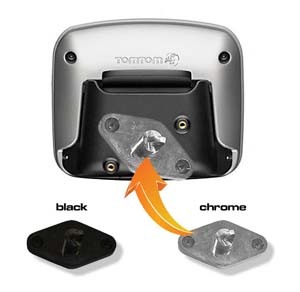 Note: Some devices may require different mounting screws than what is included in this kit. All components are aluminum and stainless steel. Fits: Harley-Davidson brake and clutch controls (screw spacing 1.5"). 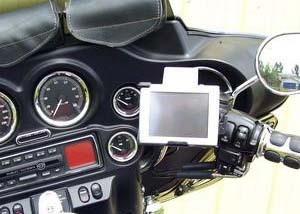 Reversible design fits both left (clutch) and right (brake) side controls! 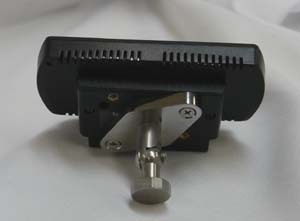 LD-EDSB-SAT: Similar to above but in black. 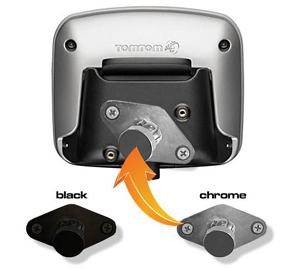 US-1: This new universal satellite installation kit will allow you to mount most XM or Sirius satellite radio receivers on the left or right side handlebar position on your Electra Glide or Road Glide. 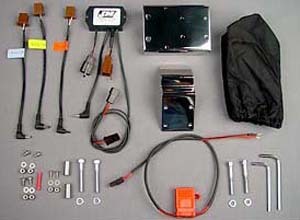 The kit includes a reversible (left or right side handlebar location) polished stainless steel receiver/antenna mounting bracket set, a custom made power/ground loop/audio signal filter component, alternate 5v, 6v and 12v power connection cables to cover all of the current XM and Sirius portable receivers, weather cover, 12v cable for power/ground connection to you motorcycle, all mounting hardware and complete installation instructions. 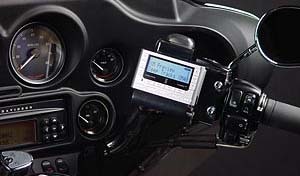 If you wish to connect the "line-out" audio connection form your satellite radio (instead of built-in wireless FM modulator) to the aux-input of your Harley Dresser audio system you will need the US-AC aux adapter cable. Special order item. 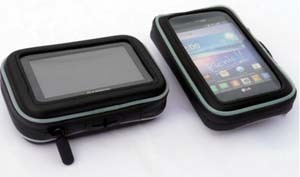 LD-HDRK: This case is a universal case, designed to fit phones and GPS regardless of whether a protective case or silicone sleeve is attached. It has a heavy-duty zipper edge and a place to run wires in/out. 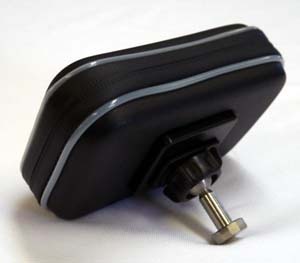 Inside the case are 2-3 foam pads to use as needed for your device. Important: This item is JUST the case itself. To mount this item, you will likely need other parts. Available in two sizes (inner diameter):Large: 6" x 3.5" x 1" (By Popular Request the Large size has opening for wires is now located on the 3.5" side, in other words, where the bottom of the phone would generally be). Medium: 5.25" x 3.25" x 1.5". 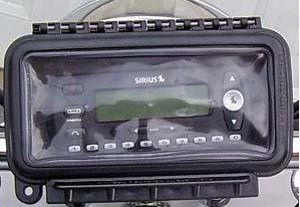 LD-HDRU: Similar to above but includes waterproof case, adaptor and ball stem. Does not include the mounting bracket.